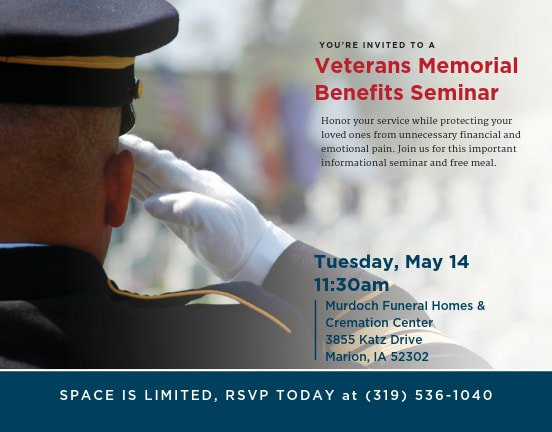 In honor of Memorial Day, join us with your family for a free lunch and seminar and discover your veteran funeral benefits. Honor your services while protecting your loved ones. The benefits of pre-planning your services will also be shared.